Clamp Reinforced Super stainless to embrace fitting for hose. - Bracket with a separate adjustment reinforced. 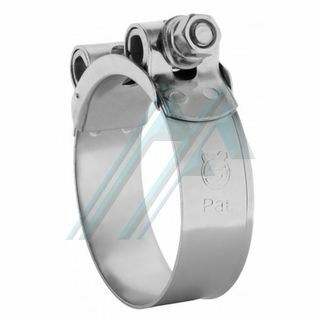 - Material stainless steel 304.